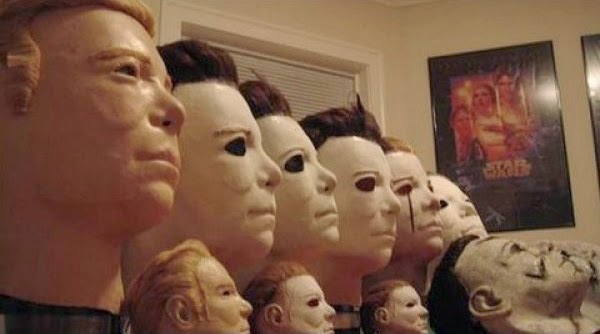 While it’s a well known piece of the Halloween legacy that the original Michael Myers mask used in John Carpenter’s 1978 Halloween was actually a slightly altered Captain Kirk mask of the likeness of Star Trek icon William Shatner, but I have never heard Shatner talk about taking his kids trick or treating while wearing his own Myers mask until discovering this video. William Shatner takes fans along for the ride on his life’s various adventures on his website TheShatnerProject.com and its YouTube channel, where he shared this priceless video of the actor discussing Michael Myers with his daughter. Watch William Shatner talk about going trick or treating as Michael Myers in the player below! ← Sam Returns in ‘Trick ‘r Treat’ Graphic Novel!